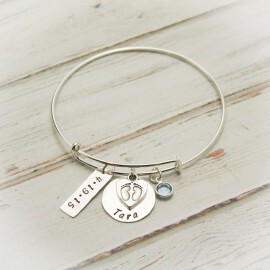 This was a special request from a customer. She shared it on her Facebook page and I got several orders for Navy Mom necklaces. 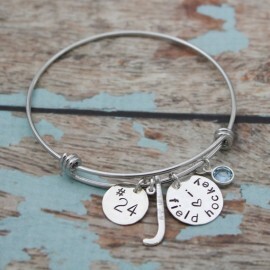 Thank you to Barbara T for the inspiration! 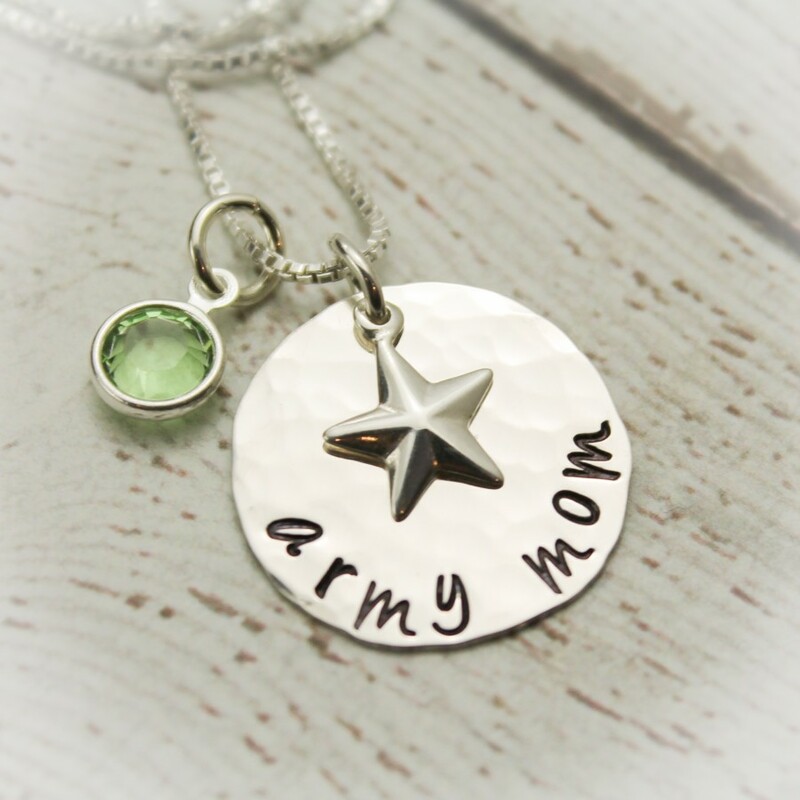 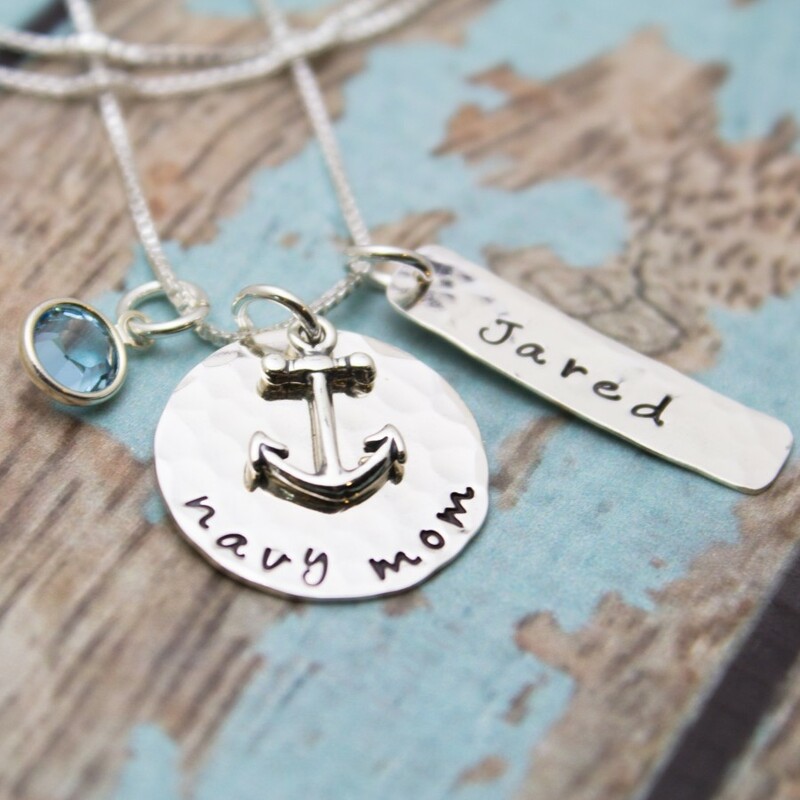 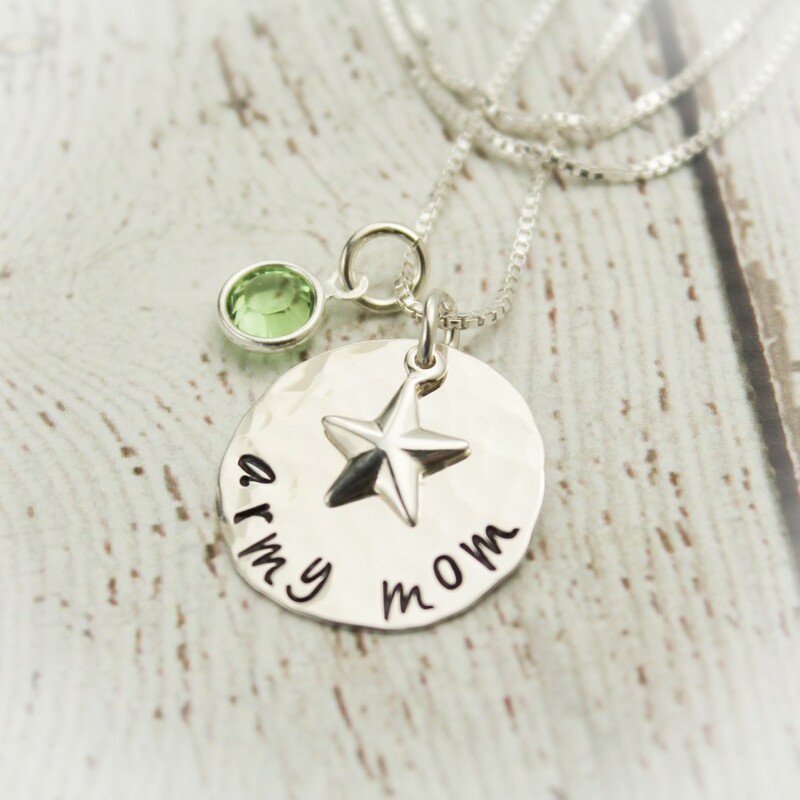 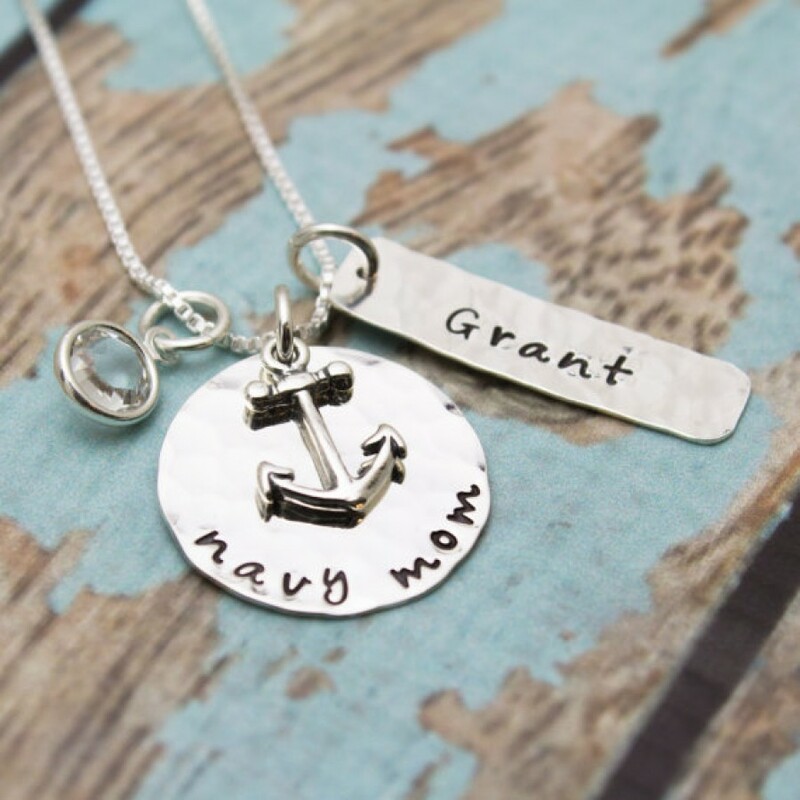 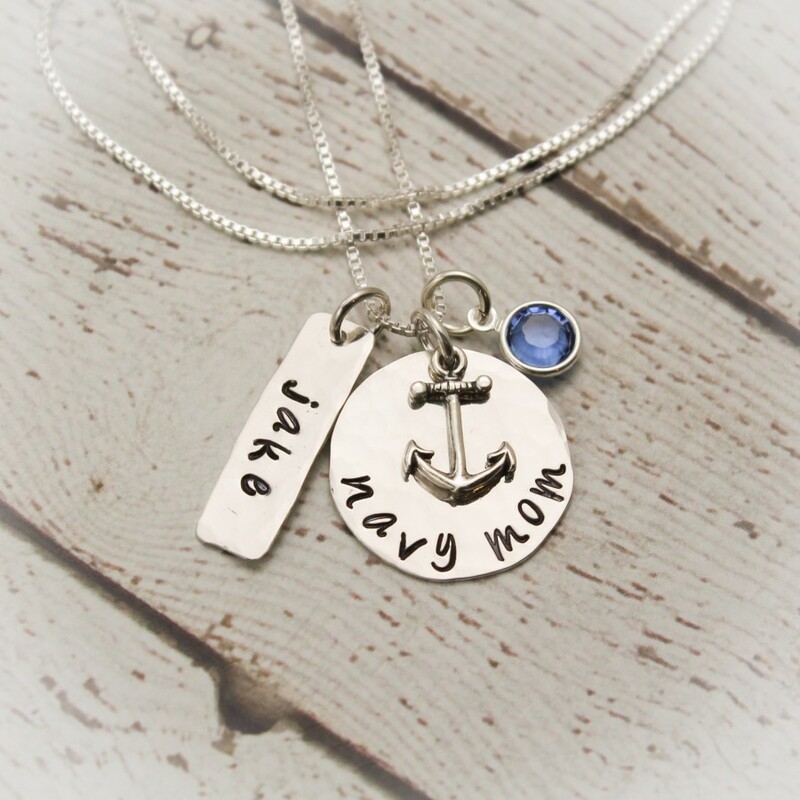 Single disc, 3/4" in sterling silver, hammered finish, hand stamped with your choice of words with a sterling silver anchor or star charm layered on top. 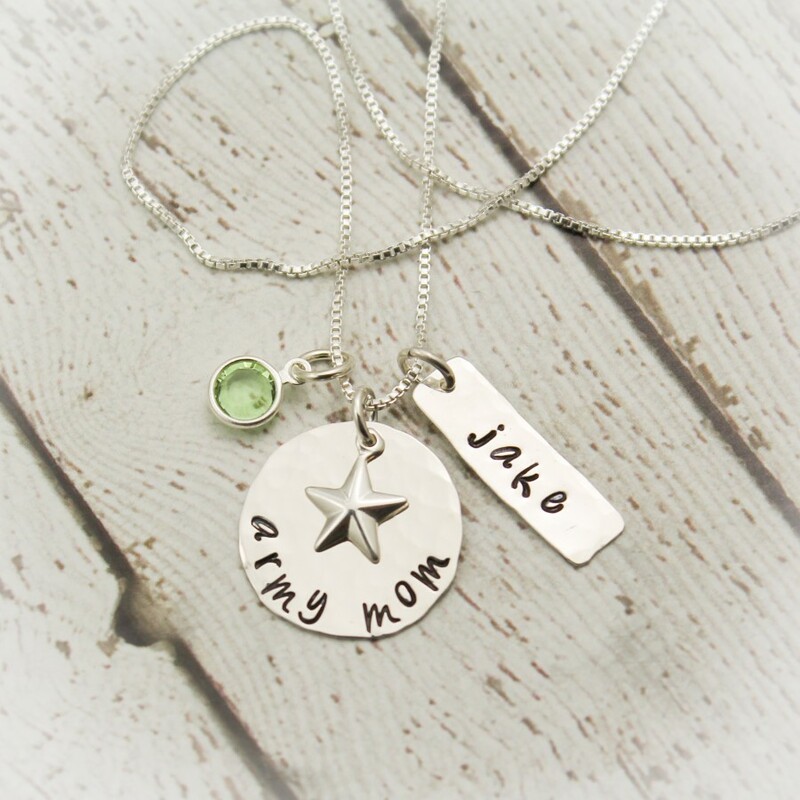 A separate sterling silver tag stamped with a name dangles along side the disc, if you choose to add it. 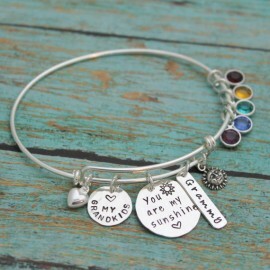 Paired with a Swarovski crystal birthstone charm in color of your choice. 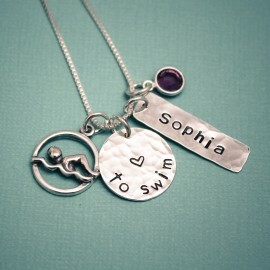 I use angelina font, all lower case, for this necklace.